Ordinarily I wouldn’t expect to be captivated by a life of a twenty four year old. 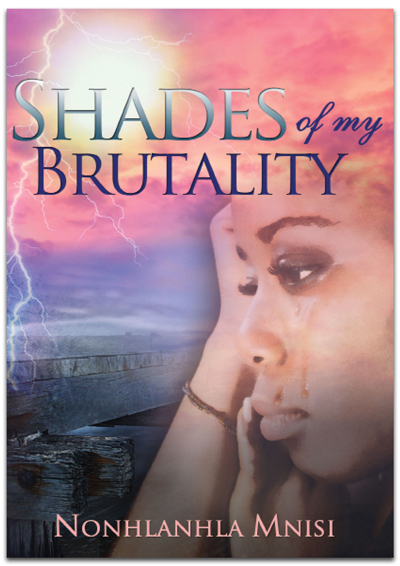 But Shades of my Brutality is a rich autobiographic story from which young and old can learn. Nonhlanhla journeys the reader though her tragic, traumatic life that is full of hope and staunching belief in the inherent humanity of humankind. Nonhlanhla’s father is murdered before she is borne. She is brought up by a deeply wounded mother who struggles to bring up her three children. At a tender age of twelve, Nonhlanhla’s mother dies of HIV/AIDS. Orphaned, scared, and somewhat naive, Nonhlanhla is determined to better herself, and to make her mother proud. Shades of my Brutality yet again brings to sharp focus the effects of HIV/AIDS on children. They are not just left destitute, but it is the emotional vulnerability and the immeasurable void in their lives that touched me in this story. As a mother I was touched by Nonhlanhla’s tears as she moved from place to place. In search of a mother’s love, Nonhlanhla consciously decides to “adopt” her female teachers. This is an interesting calculated decision which bears fruit for her. But it’s also a courageous move because at that age learners want to stay as far away from teachers as possible. But this decision also highlights the impact of teachers on learners. The results of positive teacher role models are very tangible. Nonhlanhla excels in all the subjects of teachers she is close to. She puts extra effort to please them. Nonhlanhla’s story also highlights the reality of students from disadvantaged families in South African universities. I was shocked by her day to day survival struggles over the four years at the University of Zululand. Twenty years into democracy, there are students who literally live from hand to mouth at university, who use paraffin stoves in residences. As a society we have and continue to fail our youth. We are not investing appropriately in our future. Despite all the brutality of life, Nonhlanhla remains anchored in her faith. She makes a simple yet very profound point that God is the only one that provides us with oxygen. It is her faith that gives her hope and courage even as she languishes at the bottom of the pit. She had this incredible belief in the humanity of human being. But I am disappointed that Nonhlanhla struggles after obtaining her degree. Again it is a sobering reminder of the devastating consequences of the zero base from which young black professionals start from. The so called black tax is very real for many, yet our policies do not factor it in. Shades of my Brutality is short and easy to read. Mnisi chooses her words carefully as such she succeeds in drawing the reader into her life. You cry and laugh with her. You share her vulnerabilities and her hopes. I recommend the book to young people, mothers and teachers.